An ex-teacher from Bexhill convicted of the indecent assault of three former pupils has been jailed. Terence Peter Back, 71, was jailed at Isleworth Crown Court on Wednesday, July 13 for a total of six years for three counts of indecent assault - two years for each offence - and was ordered to serve a minimum of three years. 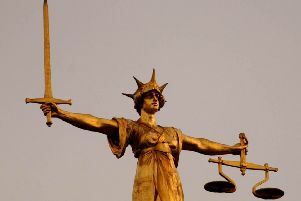 Metropolitan Police said Back had been found guilty at the court on Thursday, June 2 of indecent assault on two girls and one boy all aged 11 and under. An investigation commenced in 2013 when a former pupil of Whitehall Junior School made an allegation to police concerning her former teacher, Terence Peter Back. The offences she alleged amounted to gross indecency and indecent assault. The offences dated back to 1974. Back was interviewed under caution by police on May 2, 2013. He denied the offences. A further witness was traced and provided a witness account. Police say enquiries led them to attend Kingsway Junior School, in Garston, Watford. A further two victims were identified and traced who provided information to police. Offences at this school dated back to the early 1980s. The information given to police by the witnesses and pupils gave similar accounts of Back’s activities. Back was arrested and interviewed in relation to these allegations on April 28, 2014 and June 27, 2014. He was charged on September 8, 2015. Detective Constable Emma MacDonald of the Met’s Child Abuse Investigation Team said: “This was a lengthy enquiry and the Crown Prosecution Service authorised numerous charges against Back in 2015. There were similarities in the accounts of the witnesses, pupils of Back’s years apart who did not know each other and who attended different schools, miles apart. “Although this was a protracted investigation, I wish to thank the witnesses for their full support. They have shown such bravery reliving painful memories to the team and at court. “Giving evidence can be very daunting but witnesses are supported throughout the process. Even though these types of cases can take some time, police will persevere and try to bring the offender to court so justice is done. Back was found not guilty of one count of gross indecency against a girl under the age of 11.